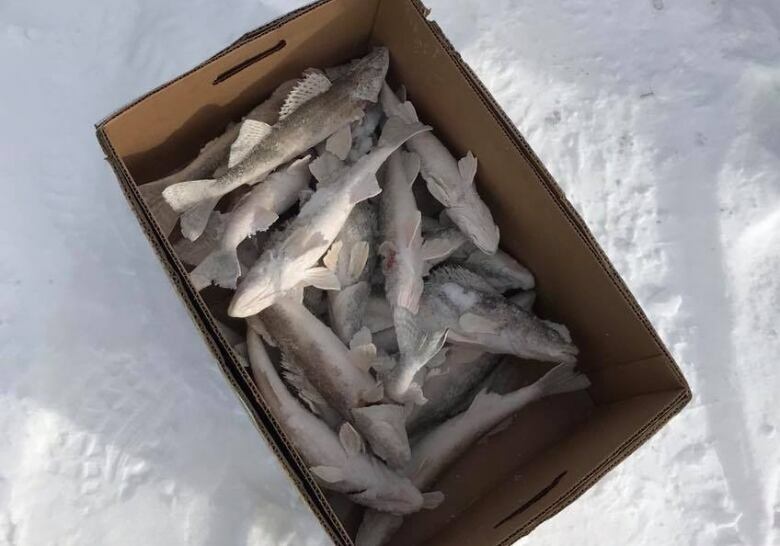 A Winnipeg man got hit with more than $1,300 in fines after conservation officers found him with more than a dozen fish over the legal limit, hidden in cardboard boxes in his truck. Selkirk conservation officers got a call about the fisher on Sunday, according to a Facebook statement from the Manitoba Conservation Officers' Association. He'd been fishing on the Red River near Lockport, Man., about 25 kilometres northeast of Winnipeg. Conservation officers approached the man after observing his behaviour, the statement said. The man initially told the officers he had three saugers, the statement continues. But officers say they found 20 more fish hidden in cardboard boxes in the back of his truck. The legal limit for sauger in the area is four, according to the Manitoba 2018 Angler's Guide. 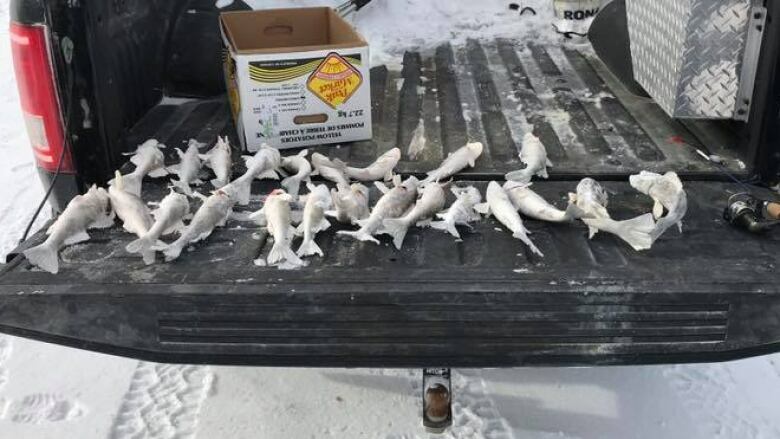 The man was charged with possessing more fish than the quota and faces a combined penalty of $1,375, including fines and restitution. Officers seized some fishing equipment and 23 saugers. The fish will be donated, the statement said. Anyone who believes a resource-related offence is taking place is asked to contact the TIP Line at 1-800-782-0076.